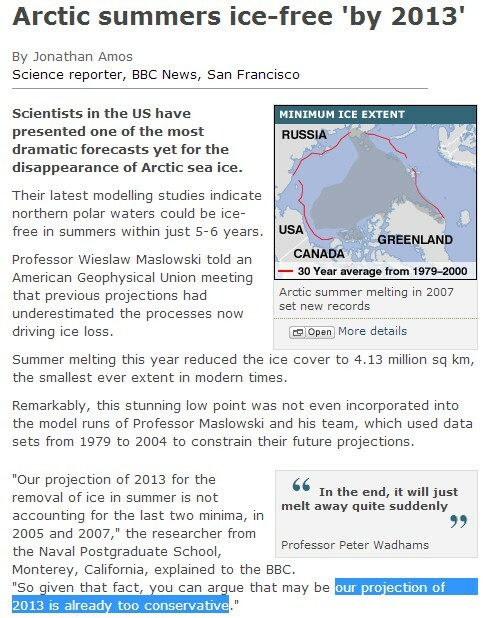 The world’s leading experts say that it is all going to melt in the next few hours. The Yong Sheng is still far away from the Arctic. It’s right now in the location of Kuril–Kamchatka Trench. They were all counting on Reggie’s blow torch. Kerry, Hansen and Beckwith are alarmed. You’re alarmed! I’m alarmed! Even my car is alarmed!! They look like complete dopes as the ice grows more and more. There are a lot of expeditions in the Northwest Passage. http://www.tooluka.nl/index.php?taal=UK posted that the western side of the Bellot Strait is closed “by ice”. If they don’t get through the Bellot Strait then they can turn around. Are there enough icebreakers to help all these idiots ? “massive disruption” that is exactly what the green/lefties are trying to do. I have to laugh … Keith has been purged from the lamestream facebook post. I suppose his progress report was getting too inconvenient for the waders … perhaps they’ve hit some ice blocking their way? Tomorrow may bring ice floes to their keel. Kind of funny reading all the denial in the last 20 comments over the NAVY site’s new sea-ice algorithm. It was changed on the 20th and shows much of the first year ice across the high arctic is 5-7′ thick, as opposed to the 2-4′ thickness displayed in prior charts. This, of course, has sent the global warming promoters into a state of mindless driveling. Glad to see that someone else noticed the change on the 20th. Personally, I think the new algorithm might overestimate the thickness a bit. But what it clearly gets right now is concentration, as they seem to have corrected for melt ponds and the concentration numbers now look much more like what one would expect from the visible images we’ve seen of the Arctic. Unfortunately, that makes identifying the minimum a bit more of a guessing game, as the last two years I used the systemic and rapid change from ~70% to 90+% over just a few days as all the melt ponds rapidly froze over indicated the minimum was at head. I may still be able to do that using CT’s images though. I think the new algorithm has it just about right. The old charts consistently showed ice of >1 meter thickness across the eastern high arctic up to the pole since the beginning of June and I’ve been commenting on this fact for a little over a month now. With 24 hour sunlight ice which is >1 meter will melt over the course of the summer and that ice never did. So I thought something was fishy about the algorithm being used prior. That’s a pretty reasonable argument, though clearly it depends on cloudiness and some degree on water (under the ice) and air temps. Frankly, as long as the Navy’s model is internally consistent so I can compare one day vs another or one year to the next, that’s all I want. Just read through some of that threat at Neven’s. Wow, they’re worse this year than last (and last year more than the year before). All sorts of excuses for the lack of melt–bolides, forest fires, and even clouds interfering with the sensors. They say the ice at the pole is 50% or less in concentration. Never mind these are the same people who swore up and down that the satellite sensors were dead on last year. Looks like some people are still expecting 2011 levels or so…not completely out of the cards, but to expect it? Saw one comment wanting to come up with their own area metric because they don’t believe CT’s, LOL. I wouldn’t be laughing at them except I remember the way they treated people who questioned the satellite measurements in 2010-2012. Hypocrites. Oh, and Neven says this year is a “humbling” experience? I’ll believe that if he stops acting like he has the last 3 years even during years where the ice amount is lower than the previous year. The rowing team “The Arctic Joule” will end at Cambridge Bay and not as planned at Pond Inlet. It looks like a wise decision. Mother Nature has its own plan. Their documentary will be trashed for the political garbage that it is. Mainstream might ask for 50% of their money back since they only rowed 50% of the distance. The French Catamaran is still going, but I have a bad feeling about them surviving. They can’t bug out easily and would need a airplane or helicopter rescue. And hours later, no one else has commented on the fact that they’re giving up. No one. People have posted asking what happened to my posts — but those comments are quickly removed. and that’s the fantasy of this ice denying life threatening misadventure. they all shine like a light in the darkness. Keep up the good enlightening work Keith ! Mediocre mainstream minds will always stumble around in the dark. Well, they aren’t going home yet but it looks like they are getting a clue. Lots of ice blowing into the Chukchi Sea. Clear skies there on MODIS. MASIE seems to be closest in picking it up. The divet in the ice extent on their map in the Chukchi is filling up with smaller floes. Lets see if they pick it up tomorrow. If the present good conditions remain (favorable winds, low solar radiations) , we could be back to 1993 levels in a couple of years. 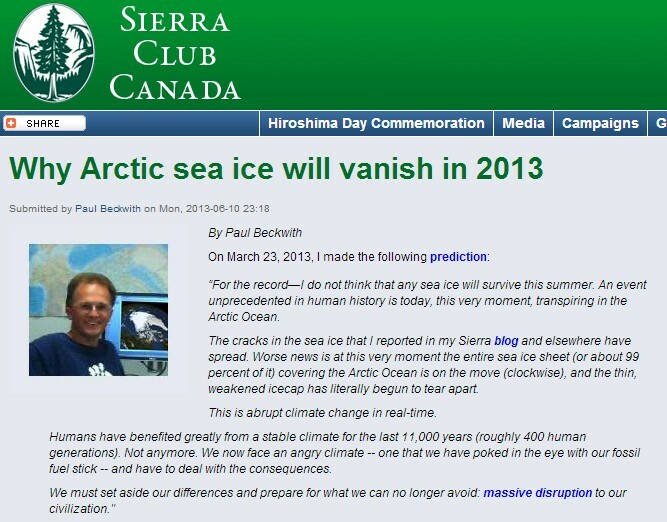 What is happening in the Arctic ice this year is historic. The Arctic is showing a level of equilibrium that even the majority of the skeptic (me included) didn’t think was possible. There are great lessons to learn with the present facts. Let’s hope the solar minimum persists and even becomes a little more pronounced. Is all we need now. although 1952 had considerably more ice, especially close to Russia. The important point to keep in mind, I think, is that during the “warm years” of the WWII there were also great oscillations in the Arctic icecap, possibly similar to what happened in the recent years (after 1995).